It's hard not to get caught up in the seasonal activities of shopping and gift giving during the weeks leading up to the holidays. This year, while you are purchasing presents for your loved ones, I'd like to encourage you to keep those less fortunate in mind by introducing you to the World Vision Catalog. World Vision is a global Christian humanitarian organization that partners families and their communities to tackle poverty and injustice. The World Vision Gift Catalog is one of many programs the organization runs to help eradicate poverty and give hope around the world. Since 1996, the World Vision Gift Catalog has grown in popularity as a gift-giving alternative. Over 650,000 people were helped through funds generated by the Catalog last year alone. The 2016 World Vision Gift Catalog contains more than 250 poverty-fighting gifts, ranging in price from $16 to $39,000, that improve the quality of life for struggling children and families both in the U.S. and around the world. It allows shoppers to purchase small unique gifts that can make a huge impact on the lives of families throughout the US. Choosing gifts for friends and relatives from the World Vision Catalog truly is a wonderful idea: you get a beautiful crafted gift, perfect for everyone on your holiday list and you help people around the world in the process. To order from World Vision’s Gift Catalog you can call 855-WV-GIFTS or visit the website HERE. Be sure to follow World Vision via Facebook and Twitter for mission updates, new gift products and more. 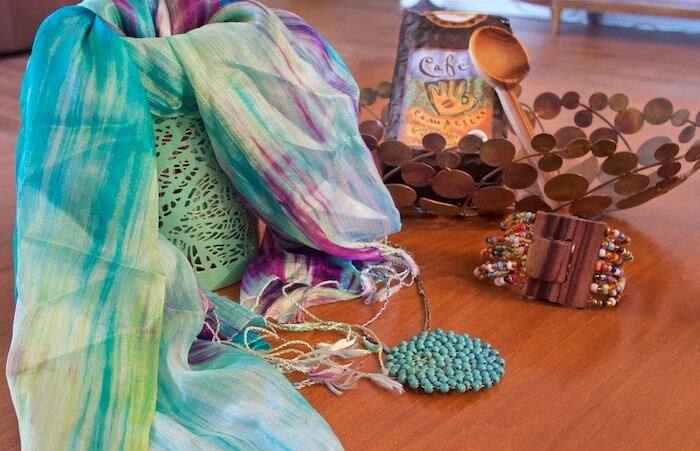 World Vision would like to send one reader the six handcrafted items above from their 2016 Gift Catalog so you can see the products first hand and understand the love that goes into crafting them. Enter below for your chance to experience a little taste of The 2016 World Vision Gift Catalog. I have an ongoing relationship with World Vision Catalog and will receive product and/or compensation for posts featuring their items. As always, all opinions are 100% my own. I have and have purchased things from them before. Yes, I have. I think it's a great idea. World Vision is a great company that helps tackle poverty. Love this competition, such a great cause. Yes, I have. It's a wonderful company, too. Yes I have. Matter of fact, there is a small shop called the Worlds Window where they sellsome of these items. Very unique and well made! I have and I love it! this is the first I've heard of it. What a fabulous prize and a great cause to raise money for. No, but I'm glad to know about it now! No, I haven't! It sounds like a really worthwhile organization. Yes I have heard of it. Yes I have heard of the World Vision catalogue. Yes I've heard of the World Vision Catalog, but I've not ordered from it. I love that these gifts help!! I just heard about the World Vision Catalog recently. I have not heard of this catalog before- but it's so nice to know that it helps others. I have bought pajamas from them before. Wonderful cause and products. Yes, I've heard of it before by reading blogs. I had not heard of it until recently. Lovely items! I'm familiar with the charity but I haven't seen the catalog. I have read about World Vision online, but I have not seen the catalog. I have not heard of World Vision before, but I'm excited to find out more! I haven't purchased yet but I love the mission. I had recently heard of World Vision but didn't know much about them. Thanks for sharing this. Yes, I have heard of this catalog.